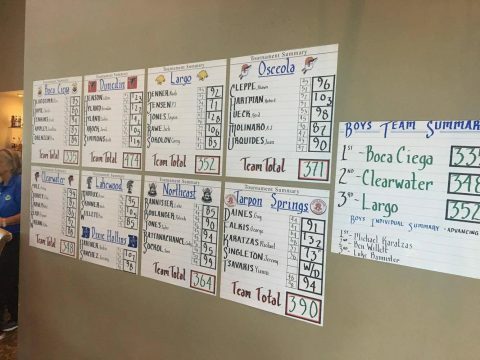 BELLEAIR, FLA. – High School Golfers from all around Pinellas County gathered at Belleview Biltmore Golf Club for the annual end of year 2A-16 District Tournament. 9 teams teed off with the hopes of placing top 3 in either the team or individual categories. On the line? 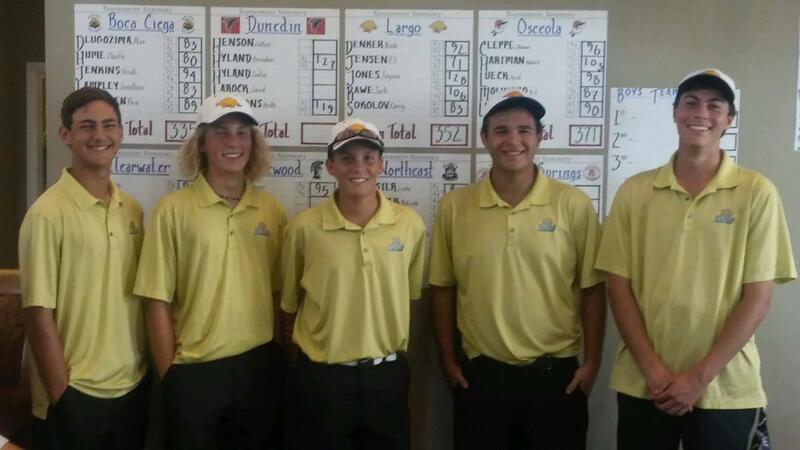 A place in the Class 2A Region 6 Tournament on October 17th at the Sun’n Lake Country Club in Sebring. After all was said and done Boca Ciega High School came out with the team victory, shooting a 335 (Only the top four scores of the 5 players are counted in the team’s total score). The Pirates were lead by Charlie Hume, who came in with a team low 80. Boca Ciega was the best team in the district throughout the season and proved just that today. Clearwater High School took second place in the District, shooting 348 as a team. They were lead by brothers Clay and Nathan Harvey, who shot 82, and 86 respectively. Lastly, Largo High School took 3rd place, shooting a season low 352. 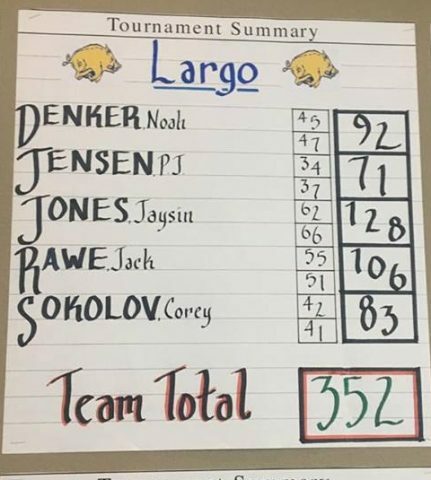 Largo was lead by PJ Jenson, who shot an Even-par 71, Corey Sokolov with a 83 and myself with a 92. 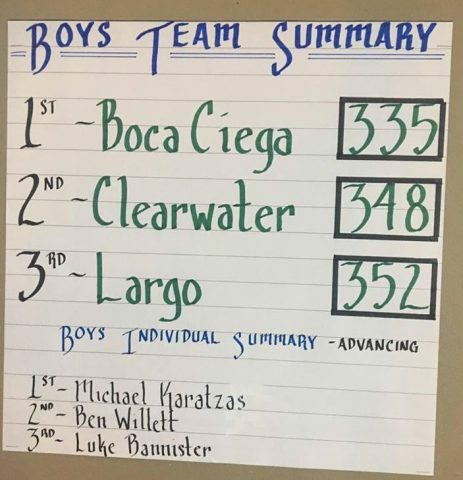 The top three scorers not on one of the three qualifying teams were Michael Karatzas from Tarpon Springs (73), Ben Willett of Lakewood (85), and Luke Bannister of Northeast (85) who will join Boca Ciega, Clearwater, and Largo in Sebring. This was my 3rd year on the Golf Team and 2nd year as the Team Captain. Being able to see the team qualify after missing out last year was something very memorable. Going into today we knew that there was no guarantee we would qualify. You need to have four good scores and we knew that there were a lot of very good teams in our district that could very easily post a lower score. We would have to be on our game to make sure we could crack the top three, and we did just that. The biggest thing about a competition like this is focus. Your goal is to minimize errors to keep the score down and if you can get four guys to do that you’re in a good place. With PJ shooting even par and Corey shooting an 83 we had two extremely strong scores, and with me and Jack rounding out the top four. We did just enough to take us to Sebring! High School experience and having that end is a weird feeling. 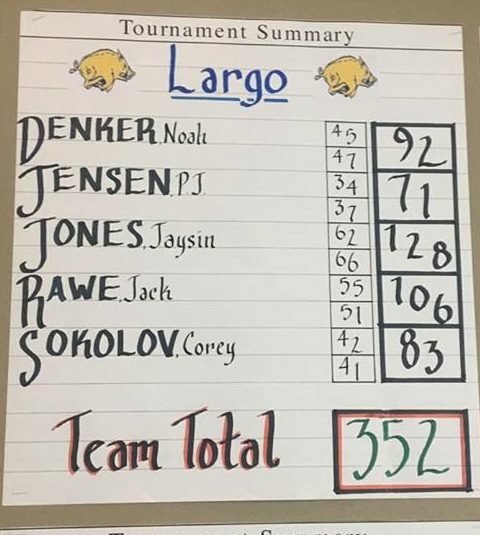 I just tried my best to have fun and enjoy the day, and while I didn’t play my best, as a team we did enough to move on, and being able to Captain such a great group of golfers is an honor. Guess I got one more match in me.